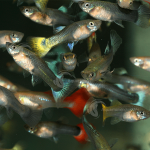 Aquarium Industries AquaBlog: Where Do Aquarium Fishes Come From? Where do our aquarium fishes come from? Aquarium fishes occur in a great array of colours, shapes and types, but where do they all come from? The pathways for ornamental fishes destined to reach the home aquarium can be quite varied. 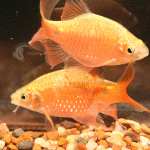 Aquarium Industries has established an extensive network of overseas and local breeders over the past 45 years. 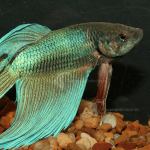 Most freshwater species are farmed for aquarium purposes within Australia and overseas, including many aquarium favourites such as Neon Tetras and Guppies. By contrast, some other species are wild-caught for the aquarium trade in a sustainable manner. 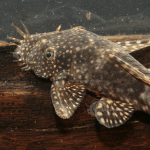 Wild-caught fishes are usually species which are very difficult to breed in captivity: Pictus Catfish and Clown Loach are popular examples of wild caught fish. 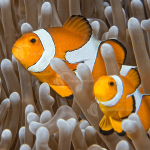 Most marine fishes are also wild caught, although some popular marines such as Clownfish and Seahorses are also farmed and are becoming increasingly popular, particularly with the variety of designer clowns that are available on the market. At Aquarium Industries, sourcing our fishes all starts with our very knowledgeable Purchasing Team of Glenn Woolacott and Glenn Briggs. 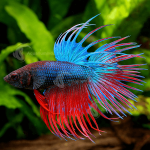 Between them, the two Glenn’s have almost 50 years experience in the aquarium trade, with most of that time devoted to sourcing high quality aquarium fish. They regularly deal with many exporters across multiple countries. The majority of fish are sourced from SE Asia such as Indonesia and China, but they also source fish from countries such as Vanuatu, Germany and USA to mention just a few. Locally, our Australian producers are very important to Aquarium Industries as most of them breed fishes that cannot be imported into the country, such as the Bristlenose Catfish and the Electric Yellow. Our local suppliers can range from hobbyists breeding 1-2 species through to large commercial aquaculture facilities capable of producing thousands of fish each week. There is plenty of regular communication with all our suppliers: following up special requests by our customers, getting updates on new fish varieties, plus recommendations of what is particularly nice. 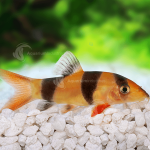 What we look for most in a supplier is their ability to provide top quality aquarium fishes on a regular basis, and to meet our customer’s needs and expectations. Good suppliers are also very skilled at packing the fish in an economical manner that does not compromise the fishes’ safe arrival. Choosing where a particular species is sourced from is mainly a decision about quality, but of course it also needs to be economically viable. 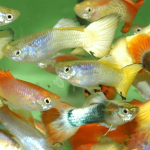 For example, most Guppies are imported from Sri Lanka which is the world’s leading Guppy producer. We then further fine tune the process by selecting the Sri Lankan exporters who are the most professional and reliable in shipping healthy, good quality Guppies. The purchasing team need to be able to predict ahead of time what the market requires. Once an order is placed, fish are prepared for shipment to Australia and undergo a mandatory 14 day pre-export quarantine at origin before being shipped to Melbourne. Upon arrival, fish are inspected by Department of Agriculture inspectors for health and that they meet import regulations. Fish are then unpacked into our Quarantine facility and cared for during mandatory quarantine period of up to 3 weeks. Have a look at our AquaCam to see some of our fish, recorded on site. Watch for our next blog in which we outline the process and importance of quarantining fish. 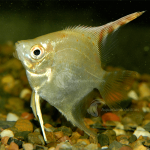 ← Why Stock Aquarium Industries Live Fish?